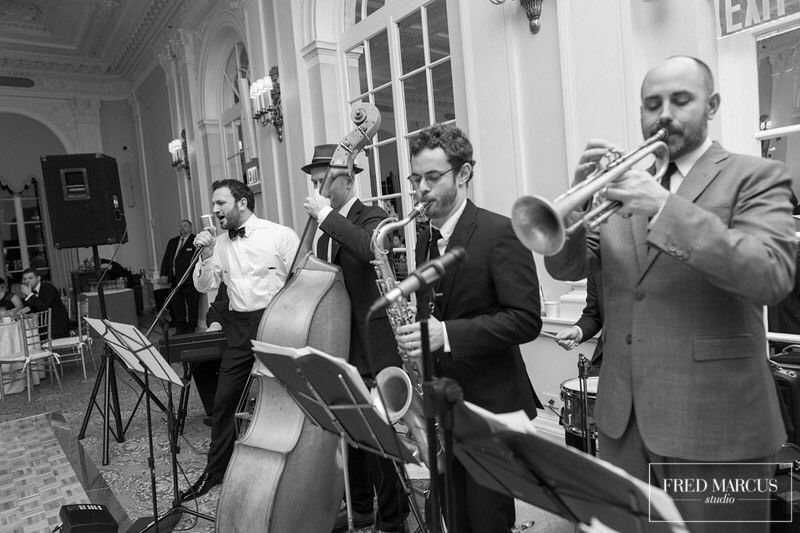 Want to book a wedding jazz band for your wedding reception in New York City ? Connect with Peter and the Master Keys and hire the best wedding jazz music bands for wedding reception at the best prices. Wedding jazz music New York City create a great environment in your party. There is so much to consider when planning a wedding. The right venue, invitations, food, flower arrangements… The list goes on and on. All of these things need to take into account your aesthetic and your values. Do you want an elegant wedding, casual, rustic, retro, nature-inspired? Those values will affect everything else down to the table settings and they are what set the tone for everything in your celebration especially how you and your guests feel, which is the most important thing. After all, this is an occasion that you want to look back on fondly for the rest of your life! I would be the first person to tell you that Peter & the Master Keys isn’t the perfect band for everyone’s wedding. DJs can be great for people on a budget who want to hear songs exactly as recorded. Top 40 bands are great if you want to hear the big pop hits with a live band. But the Master Keys was designed with a different kind of vibe in mind. It is first and foremost an excellent jazz band for a wedding reception, and yet it is much more than that. First of all, having live music at your wedding says a lot about you as a couple. Let’s face it. It’s just classier to have real musicians playing ceremony music, top New York jazz musicians playing your cocktail hour, and a great live band for the reception. You can get all of this with our package deal. And when you book a jazz band for a wedding reception you are giving your guests, many of whom came from out of town, something that is synonymous with New York: great jazz music. 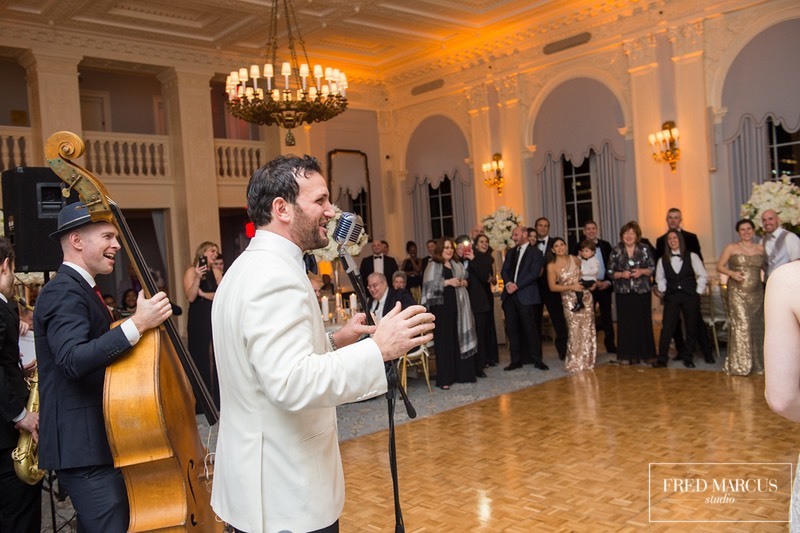 The style of live music of course will greatly affect the aesthetic of your wedding. If you love country music and it is in sync with your stylistic choices, then you should definitely go with a country or roots rock band. A wedding jazz band in New York City will obviously give you a different flavor. It’s timeless and classic New York. It can be glamorous and even retro. Jazz can lend an air of sophistication if that is what you’re looking for. What sets Peter & the Master Keys apart from other jazz wedding bands for hire is it’s versatility. Most of the jazz bands out there are good at jazz and nothing else. We love jazz of course and can play standards a la Sinatra all night if that’s what you want. But what sets us apart is that we also have a deep repertoire of blues and early rock n roll. We love playing songs by Ray Charles, Fats Domino, and Chuck Berry, to name just a few. Our favorite thing to do is to make that transition. And I’ve found that people love it! There is something for everyone and the stylistic change tracks the change in mood in the room as the party really gets going during the latter part of the reception. Peter and The Master Keys is the best wedding band in New York City.